Taking care of one’s teeth and gums is as important for senior citizens as it is for youngsters — if not more so. After all, the state of an elderly person’s oral health can have a significant bearing on quality of life: how comfortably he or she can eat, speak, and smile. Poor oral health can lead to tooth decay and periodontal (gum) disease. Untreated periodontal disease can worsen chronic health conditions such as heart disease, arthritis and diabetes. At the same time, maintaining oral health as we age presents its own special challenges. That’s why it is often important for the grown children of older adults to take an active role in seeing to their parents’ needs in this crucial area. It is not a given that we must lose our teeth in old age; properly cared for, our teeth should last as long as we do. Yet maintaining effective oral hygiene can get harder. Arthritis, for example, can make brushing and flossing difficult. Sometimes using a power (electric) toothbrush, with its larger handle, is easier. Or you can place a tennis ball or bike handle grip on a regular toothbrush to make it more comfortable to hold. Pre-loaded floss holders and water irrigation devices (water flossers), sold in drugstores, can likewise be very helpful. Older Americans are taking more medications than ever, so we are seeing more tooth decay from the side effects of a dry mouth. Xerostomia (“xero” – dry; “stoma” – mouth) sets the stage and increases the risk for tooth decay — can also be a real problem with aging. As we age, we just don’t produce as much saliva. 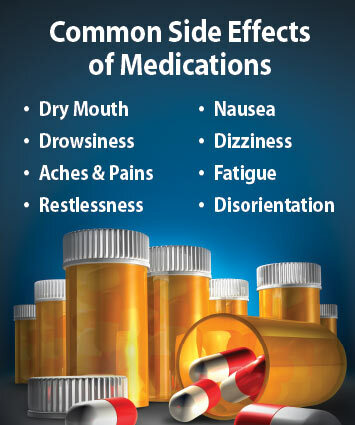 In addition, many drugs (both prescription and over-the-counter) tend to dry out the mouth. Not only is this uncomfortable, but it can also harm the teeth, which benefit from the natural antibacterial and acid-neutralizing properties of saliva. Mouth dryness contributes to the demineralization or “weakening” of teeth. Older Americans are taking more medications than ever, so we are seeing more tooth decay from the side effects of a dry mouth. By merely becoming aware of this condition and reporting it to the dentist, you will do a lot to help reverse the decay process. In addition, the aging population can develop problems with digestion from mild heartburn to gastric reflux or a condition known as Gastric Esophageal Reflux Disease (GERD). In the case of digestive problems, stomach acids can end up in the mouth and erode the tooth structure. Treatment of gastric reflux may also decrease acidity in the mouth. Treating tooth decay in older adults can be complicated by the fact that many already have had significant dental work — fillings, crowns, bridges, etc. When a previously restored tooth develops new or recurrent decay, saving it can be more complicated, costly or even impossible. A common mistake most people make is to rely on pain as an indication that a problem exists. This is a very unreliable method. A tooth might not hurt even if it needs extensive dental work, as age-related changes within the tooth structure can reduce pain perception. Regular dental checkups provide an important safeguard against this. Prevention through dental caries (cavity) risk assessment is a proactive way to strengthen teeth before they become weakened or develop cavities. By modifying or controlling known risk factors, like increasing hydration and adding topical fluoride (in the form of toothpaste, mouthrinses or professionally applied varnishes), the dental team can help you to keep your teeth longer. Those wearing removable dentures and partial dentures should have the appliances regularly checked for fit. Appliances that press on the tissues of the mouth may cause bone and gum changes known as “resorption” in which tissues shrink. Once there is bone loss, the prostheses (dentures) become less stable and can actually increase the bone loss by exerting too much pressure. The dentures can be adjusted to help with the stability of the appliances and reduce premature bone loss. Osteoporosis is another consideration in treating the elder population. Medications for osteoporosis called bisphosphonates can sometimes have adverse affects on bone healing when taken prior to tooth extraction. Therefore, one should always undergo a dental examination to rule out the need for extraction of any severely compromised teeth prior to starting on any medications necessary to treat osteoporosis. The best way to make sure elderly loved ones are getting needed oral health care is to offer to take them to the dentist if they haven’t been in the last six months or longer. Make sure you bring along a list of all medications (prescription or over-the-counter) and herbal/dietary supplements they are taking, and be prepared to detail all of their health conditions and allergies. Bring along any dentures they own, even if they don’t always wear them. If the dentist finds that oral hygiene efforts are lacking, ask how you can help. It may be that your loved ones simply need a refresher course and some help gathering the right tools to do the job properly; or they may need a more hands-on type of assistance. The dentist may also recommend prescription antibacterial or fluoride rinses to help reduce risk of tooth decay, or other supplements such as Biotene products to help counter mouth dryness. For patients with an acidic mouth or dry mouth, a simple sodium bicarbonate (baking soda) rinse can be used, especially at night, to neutralize the acidic mouth. (Mix approximately 1 teaspoon to a cup of water or as tolerated). Should the dentist determine that the aging person you are caring for needs help with the actual tasks of brushing and flossing, you will have some decisions to make. If you feel you are unable to take this on, ask your dentist what homecare options you might have. If you do feel you can offer this type of assistance, ask for a demonstration while you’re at the dental office and go over any questions you have. Don’t expect to become an expert at cleaning another person’s teeth immediately, and realize that it will take patience and understanding from the both of you to be successful. Also recognize that it may be hard for the recipients of your care to accept help graciously, even when it is truly appreciated. After all, it represents a certain loss of independence — something that’s difficult for anyone to accept. You can help maintain their dignity by always asking for permission to touch them, and by checking on their comfort periodically as you brush and floss their teeth. Transitioning into the role of caregiver for an aging loved one is rarely stress-free; just keep in mind that your help will make all the difference.